The United Nations secretary-general has condemned the suicide bombings of three churches in Indonesia's second-largest city of Surabaya. A spokesman for Secretary-General Antonio Guterres issued a statement saying he was "appalled" at reports that children were used in Sunday's attacks. 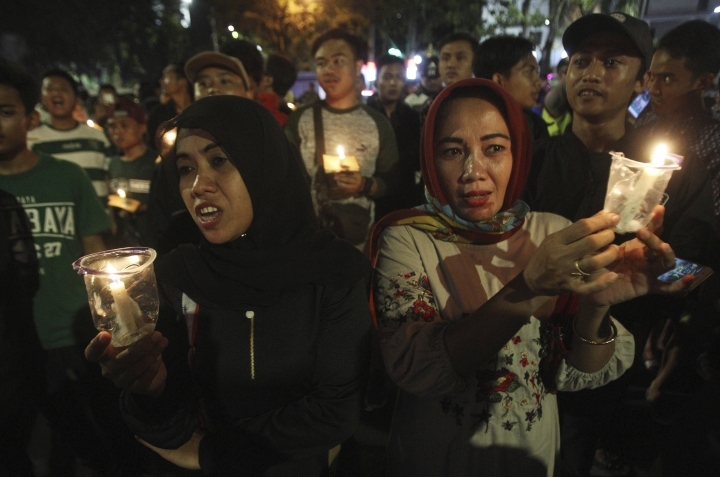 The statement issued Sunday offered condolences to the families of victims and said the U.N. stands by Indonesia's efforts to fight extremism and prevent terrorism. Police say coordinated suicide bombings were carried out by members of the same family against three churches in Indonesia's second-largest city of Surabaya. At least seven people died at the churches along with the six family members, the youngest of whom were girls aged 9 and 12. Another 41 people were injured. National police chief Tito Karnavian said the father detonated a car bomb, two sons aged 18 and 16 used a motorcycle for their attack, and the mother and her two daughters wore explosives. He said the family had returned to Indonesia from Syria, where until recently the Islamic State group controlled significant territory. The Islamic State group has claimed responsibility for suicide bombings at three churches in Indonesia that killed at least 13 people and wounded dozens. The extremist group claimed Sunday's attacks in a statement carried by its Aamaq news agency. The attacks in Surabaya, Indonesia's second-largest city, were among the worst ever carried out against the country's Christian minority. Police say the suicide bombers were members of one family, including young children and teens. Pope Francis has prayed for victims of suicide bombing attacks on three churches in Indonesia. Francis on Sunday expressed his spiritual closeness to the Christian community in Indonesia, especially in Surabaya, where the attacks killed at least 11 people at three churches during services in the Muslim-majority nation. Francis asked faithful in St. Peter's Square to join him in prayers to the "God of peace so that he will make these violent actions stop, and that in the hearts of all there will be room not for sentiments of hatred and violence but of reconciliation and brotherhood." The pope has often draw attention to minority Christian communities that have been targets of persecution or other violence. Indonesia's national police chief says the suicide bombers who attacked three churches in the country's second-largest city were members of one family, including children and teens. At least 11 people died in the attacks in Surabaya on Sunday and more than 40 were injured. The national police chief, Tito Karnavian, said the family had been in Syria, where the Islamic State group until recently controlled a large swath of territory. He said the family's father exploded a car bomb, two sons aged 18 and 16 used a motorbike in their attack and the mother was with two children aged 12 and 9. Media reports say three bomb attacks on three churches in Indonesia's second largest city of Surabaya have killed at least two people. El Shinta radio station says the almost-simultaneous attacks occurred during Sunday morning Masses. 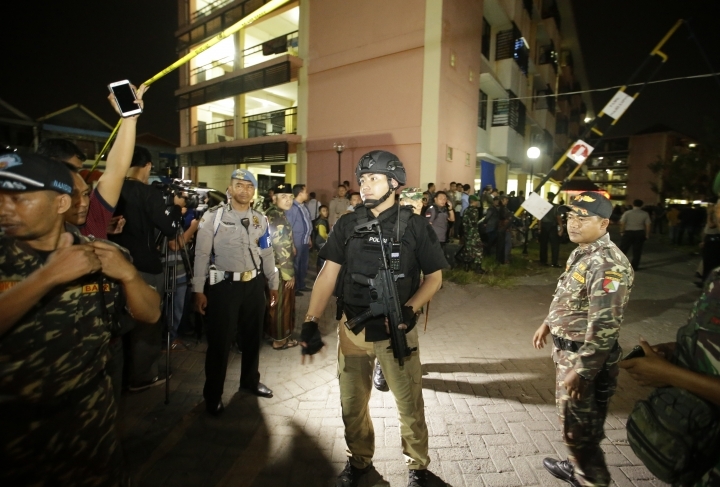 The latest attacks in predominantly Muslim Indonesia came days after police ended a riot and hostage-taking at a detention center near Jakarta that left five dead and five injured. The Islamic State group has claimed responsibility.